The manufacturer, range and scale of your miniatures for which you want the decals. For example, Perry Miniatures, Wars of the Roses infantry, 28mm. The number of designs you’d like, and quantity and types of items. For example, 3 different designs, for 20 heater style shields, 3 unit banners and 20 barded war-horses. Physical dimensions (measurements) ideally in millimetres of the items for which the decals are intended. For example, heater style shield 10mm wide X 18mm long. Please provide any photos or drawings / sketches of the sorts of designs you have in mind. I do not and will not knowingly copy or reproduce any designs that are the property of another company or individual. To do this is a blatant breach of copyright and misappropriation of their intellectual property (IP). Therefore, please do not ask or expect me to do this. Click on one of the buttons below to see a list of design commissions completed for clients either in the UK or internationally. To see what designs are currently available in the Historic, Fantasy or General Heraldry Galleries, please click on one of the buttons below. A flat rate, one-off Design Commission Fee of £36.00 is charged for all commission work, in addition to the cost of the actual decal-sets and their delivery. The Design Commission Fee is payable before design work for the commission commences. The costs of the completed decal-sets and their delivery are payable on completion of the commission and before the order will be dispatched. The more information that you can provide me with, the sooner I can produce the finished decal- set(s) for you, as well as give you a fairly accurate estimate of the production and shipping costs. Printed on high quality, water-slide CLEAR decal film. However the surfaces on which the decals are to be applied need to be painted white first, to serve as a white opaque layer. 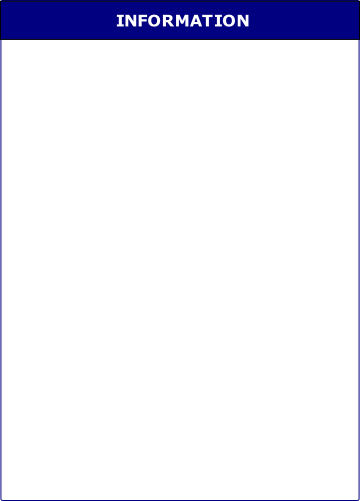 This is because I cannot print white. Commercially produced decals are printed onto clear decal film, which is then printed with a white opaque base coat before the colours used to create the decal images are printed. The white base coat prevents any colours, beneath the decal, from showing through. I cannot print metallic colours, i.e. gold, silver, steel, brass, etc. However, I can produce non-metallic metallic colours, i.e. simulated gold or silver, etc. All colours used are traditional heraldic tinctures and metals. Refer to Matching Paints to Decal Colours for a table of the corresponding paint ranges and colours. However, I can and do match other colours as near as possible, where they are required as part of the design. To do this, the client needs to specify the paint manufacturer and colour tint, or provide an FS (or equivalent) standard paint code for use as reference. Consultancy approach via e-mails. I work with the client to understand their design requirements. I then produce design proofs, which are e-mailed, so that the client can review and comment on the designs. This step is only necessary if the client is unable to provide any reference materials or requires a unique / original design to be produced from scratch. Once the final designs are arrived at and produced, I then create a design proof of the decal-set layout, based on the numbers, sizes and styles of decals required by the client. I e-mail the design proof, so that the client can review and comment on decal-set layout. Work on the design and development of the decals-set commences once payment of the Design Commission Fee has been received. Request for final payment from the client is only made when the completed decal-set layout is produced and ready to be printed. On receipt of payment via PayPal, I package and post the decal-set(s), and any metal parts, to the client and notify them by e-mail of the dispatch. Apart from the Design Commission Fee, and the cost of the decal-set(s), metal parts, and postage & packaging, there are no others costs involved; everything else is provided free. 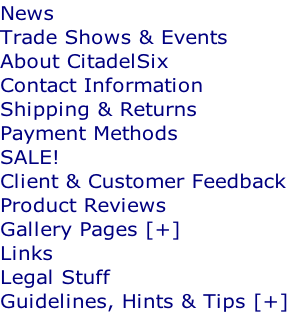 Use the Product Categories and Services menu, above, for further information, or browse the Design Galleries to find designs appropriate for your miniatures or table-top army.